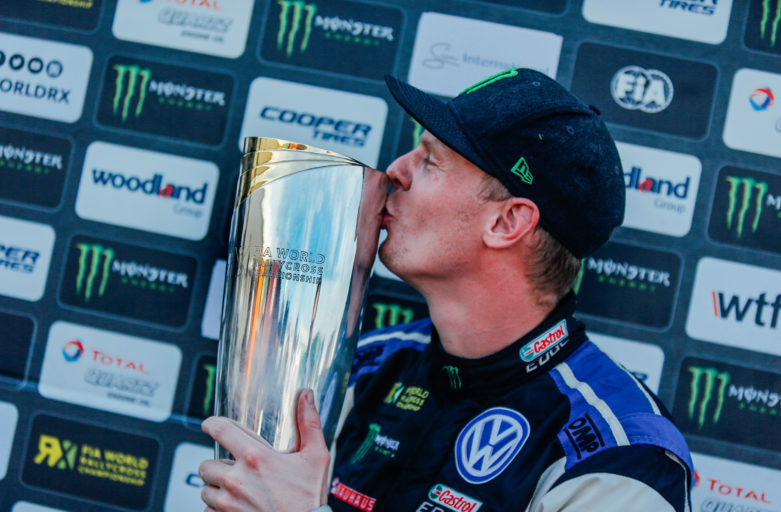 Johan Kristoffersson finished his incredible season in the FIA World Rallycross Championship by securing the 11th victory in 12 rounds – a historic and record breaking accomplishment! The PSRX Volkswagen Sweden driver defended his world champion title, 93 points ahead of the runner-up! Once again, Johan scored maximum points in Cape Town, for the seventh time this year, but just like many times before, it wasn’t an easy task. 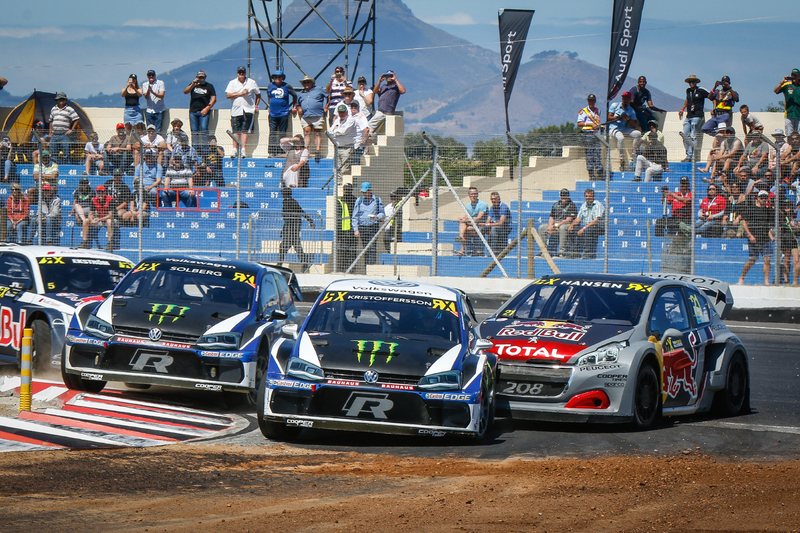 Johan began his weekend at Killarney International Raceway in the worst way possible. A spin after having some technical problems meant 16th place in Q1. But he fought back in his typical way with a solid win in Q2. Ahead of Sunday, the Swede was ten points behind Sébastien Loeb, still far off the overall win in the Q’s, but two more majestic races made him climb to the top after Q4. ”I had a perfect Q3. The car was great and I could push without making any mistakes. And after Q4 my comeback was completed” said Johan. He also makes history with a victory percent of 92 throughout the year, the only round he didn’t win was in Belgium, where Sébastien Loeb finished on top. ”A bit frustrating, but the will to chase those 100 percent gives us something to work on for next year” said Johan with a smile.